LOCATION*LOCATION*IN DESIRABLE SADDLE ROCK GOLF COMMUNITY! THIS LOVELY TOWNHOME HAS IT ALL. HOA TAKES CARE OF ALL OF THE EXTERIOR JOBS FOR YOU!!! ENTER INTO A GRACIOUS ENTRY HALL. OPEN FLOOR PLAN! THE KITCHEN HAS LOTS OF CABINETS & GRANITE COUNTERTOPS FOR COOKING. A LARGE EATING BAR FOR USE AS A BUFFET WHEN ENTERTAINING! THE GREAT ROOM IS OPEN TO THE KITCHEN W/ A LARGE DINING AREA & THE INVITING FAMILY ROOM! COZY UP IN FRONT OF THE GAS FIREPLACE WHILE YOU WATCH A MOVIE OR A GAME! SLIDING DOOR OUT TO THE PATIO! THE MASTER SUITE IS WHERE YOU'LL WANT TO BE! VAULTED CEILINGS & A LARGE MASTER BATH EN SUITE! THE MASTER BATH FEATURES A SOAKING TUB, SEPARATE SHOWER & WATER CLOSET! A SECONDARY BEDROOM AND A FULL BATH ARE AT THE FRONT OF THE TOWNHOUSE FOR PRIVACY! THE LAUNDRY ROOM IS A PERFECT DROP ZONE AS YOU ENTER FROM THE GARAGE W/COAT CLOSET & CABINETS FOR STORAGE! 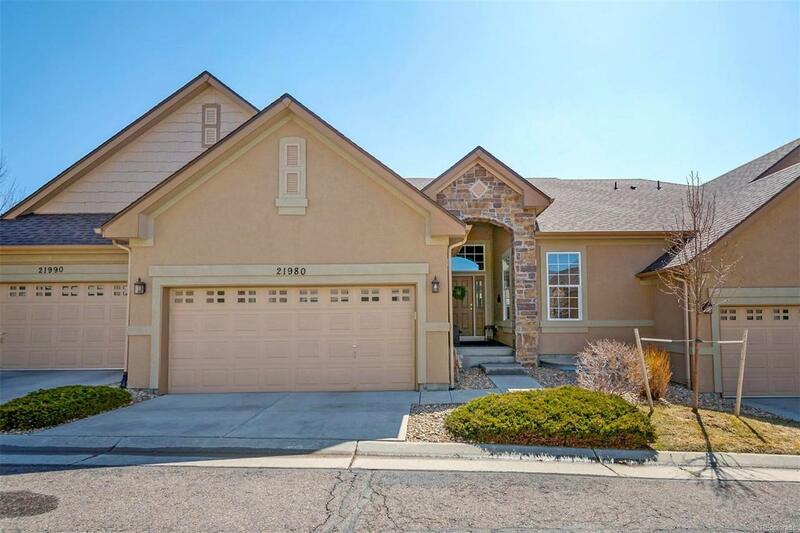 JUST MINUTES AWAY FROM SHOPPING, SOUTHLANDS AND E470! THIS WILL GO FAST!